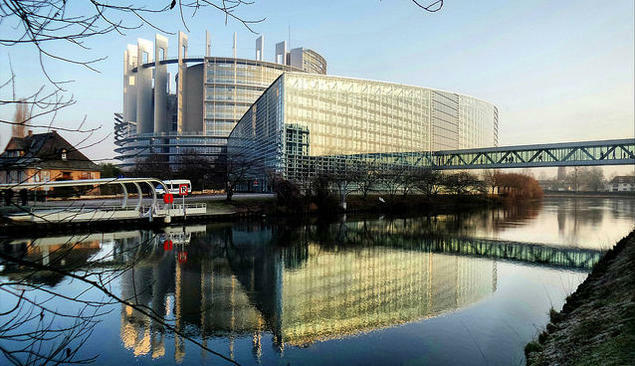 The European Parliament in Strasbourg. Photo: The European Union 2017. On 24 October, FNI researcher Jon Birger Skjærseth participated in a CICEP breakfast seminar at Kulturhuset to discuss precisely this question. 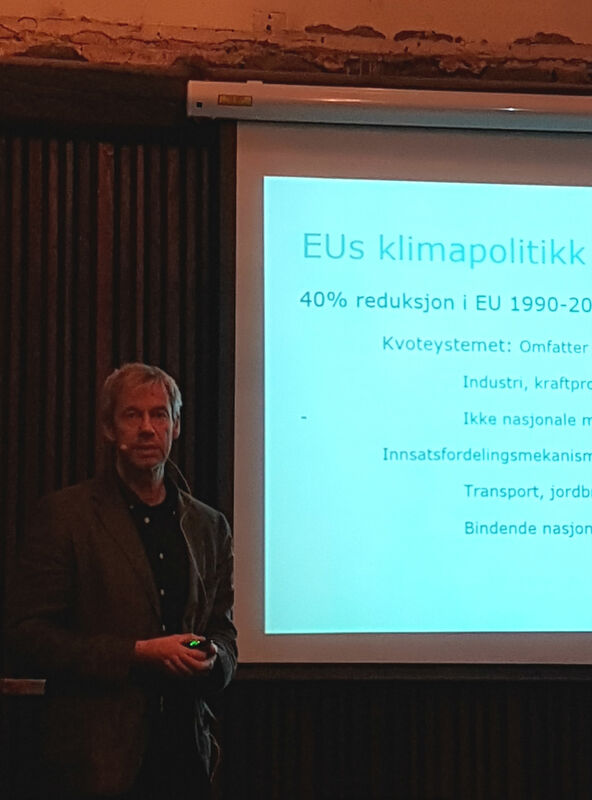 According to Skjærseth, while Norway is about to become an official ‘EU climate member’, what this ‘climate membership’ will require Norway to do in practice is still highly uncertain. What Skjærseth is referring to is what is known as the EU Efforts Sharing Regulation (ESR). In 2015, Norway committed itself to contribute to realizing the EU’s goal of reducing EU greenhouse gas emissions by at least 40 per cent within 2030 (from 1990 levels). Two main mechanisms are involved: the Emission Trading System (ETS) and the Efforts Sharing Regulation (ESR). As a member of the European Economic Area (EEA), Norway is already linked to the EU’s ETS, which provides emission reductions for industry, aviation and power sectors. However, from 2020, Norway will most likely also become a member of the ESR. What is the Efforts Sharing Regulation? The ESR sets out binding annual greenhouse gas em ission targets for member states in the period 2021–2030. These targets cover sectors such as transport, buildings, agriculture and waste management – those that fall outside the scope of the ETS. The ESR operates at the national level and involves flexible mechanisms so that each member state has substantial leeway to choose how they want to reach their targets by 2030. For Norway, the proposed emission reduction target for the non-ETS sectors is 40 per cent. The newly released climate change whitepaper addresses this target and the reduction of national emissions, with the objective of fulfilling the commitments set under the Paris Agreement, in cooperation with the EU. The legal framework of the ESR, which was put forward by the EU commission in July 2016, is now being negotiated by EU member states and the European Parliament. Although ongoing negotiations may be revitalized by the US’s withdrawal from the Paris Agreement and the EU’s ambition to act as a leader in the international climate change regime in coming years, they will surely be challenging. ‘For one thing, the European Parliament wants a more stringent and long-term system than the member states, which may also affect Norway’s obligations’, says Skjærseth. Norway will start bilateral negotiations with the EU when the ESR is adopted, probably sometime next year. The final result and the national steps Norway will have to take to fulfil its part of the agreement remain, however, highly uncertain. ‘There are a number of flexibilities in the ESR, including the possibility to invest in emission reductions in other member states’, explains Skjærseth. All the same, more has to be done to cut emissions and Norway’s share of the burden will hit the national transport sector the hardest. Transportation accounts for about 60 percent of the non-ETS emissions in Norway. The EU, for its part, will be paying close attention to Norway’s progress each year towards reaching its reduction goal within the non-ETS sectors by 2030. Does Norway need a climate law?